While we love sidecars and have eliminated ReaLemon as a viable option, there are still a number of different lemon juices available. For this run we are not going to use the typical go-to product at the Primary Testing Facility, True Lime , as 1. it’s lime, and 2. being a powder it can be distinctive if full dissolution is not achieved. 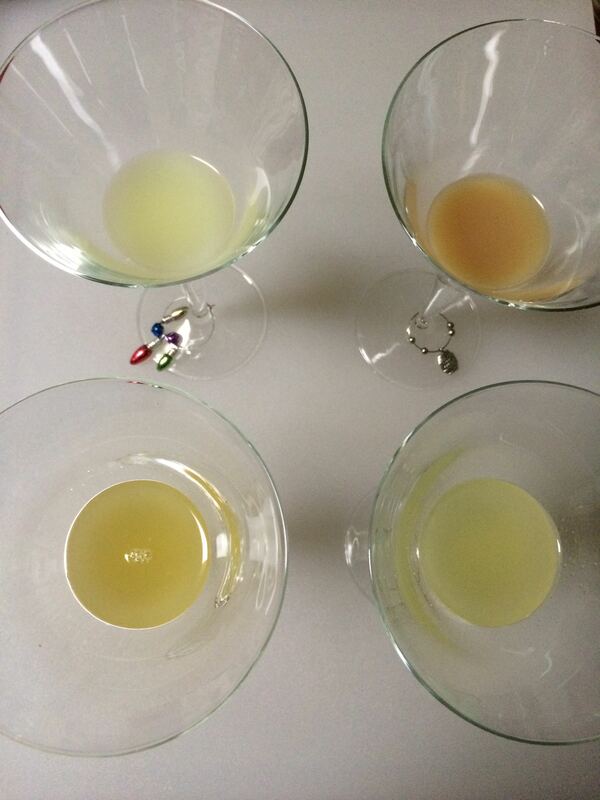 Four lemon juices, clockwise from upper left: lemon grenade, keywest, fresh lemon, fresh meyer lemon. Our standard, charm-based, double blind taste testing procedures (described here) were used. 1 Fresh Lemon unanimous first choice, drink had a coarse yellow foam and tart, or “assertive”, lemon flavors – but not in an unpleasant sense. 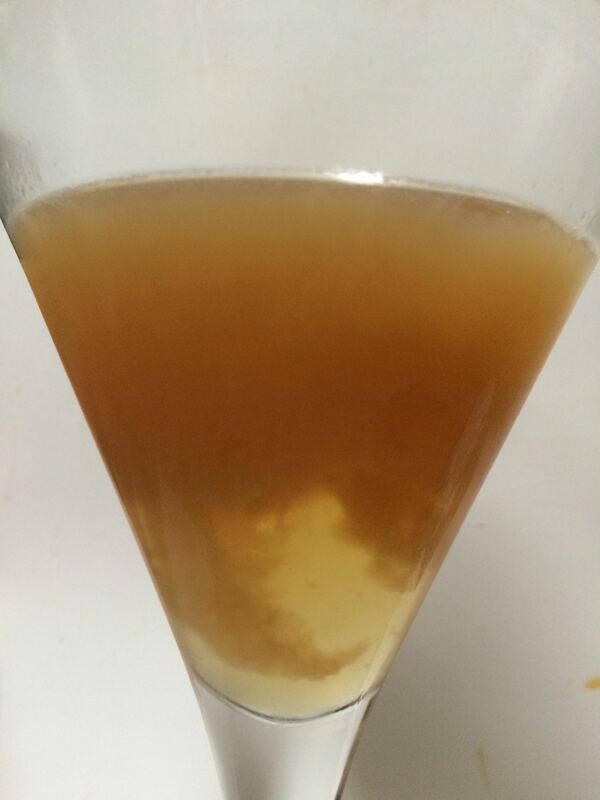 tie Key West drink separated into a cloudy suspension and clear liquid, somewhat Tang-like and slightly harsh. tie Meyer Lemon less foam than the fresh lemon, and also noticeably sweeter and more orangey. 4 Lemon-shaped bottle everyone agreed this was their least favorite; drink had a distinctly different white foam, and was the most “lemon-y” but more harsh than our favorite. Every taster was able to correctly identify the juice in each drink before the results were revealed, and we all agreed on the first and last places. There were some disagreements on the middle two, mostly due to how people responded to odd flavors in the Keywest versus the non-agressive Meyer, which created an unbalanced drink. There were some interesting physical differences, with the behavior of the Keywest lemon juice being pretty strange (see below), and each juice produced a distinctive foam texture/color. Sidecar made with the Keywest lemon juice. This drink suffered an odd separation that none of the others did.